I am pleased that you are considering Chabad Early Learning Center to meet the early childhood needs for your child. Choosing a school that will provide your child with a firm foundation on which to build the rest of your child's education is one of the most significant decisions your family will ever make. I am confident that you will be pleased with the quality and dedication of our staff, the curriculum, and our outstanding facilities. 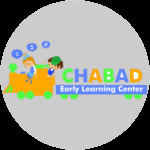 Chabad Early Learning Center welcomes families from all walks of life to its preschool. After we receive your admission inquiry form, Shternie Bulua, our Admissions coordinator, will contact you to introduce you to the school and to familiarize you with the admissions process. If you have any questions, please feel free to reach out to our Admisisons Coordinator Shternie Bulua at 212-864-5010 ext 122 or at shternie@chabadelc.com. I look forward to welcoming your family to our school.